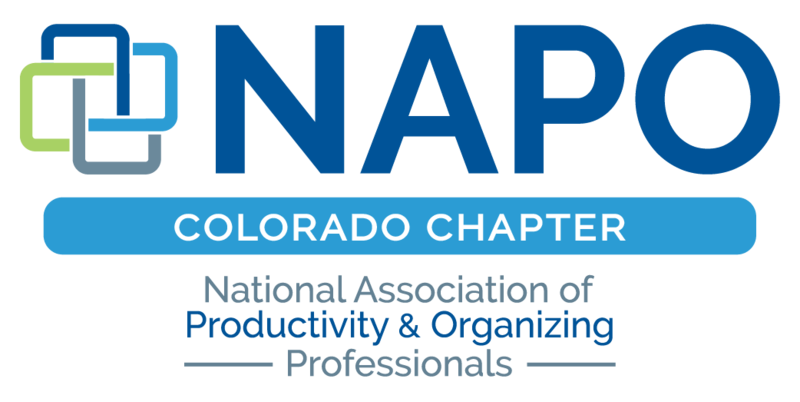 Classes presented by professional organizers from the National Association of Professional Organizers – Colorado Chapter. This class is geared toward the parents of middle school or high school students. We will discuss where to study, tips for being more organized and more productive; all specific to your student’s learning modality. Come learn how to support your student at home! Professional organizer and personal stylist, Marissa Jacobs brings her fashion design and organizing background to teach you how to clean out your closet, set up your wardrobe, and pair outfits so you can get dressed quickly and look your best. When you have multiple people in one home there are bound to be disagreements as to how things should work and where they go. This class provides tips on how to work together as a team to create more harmony in your home.